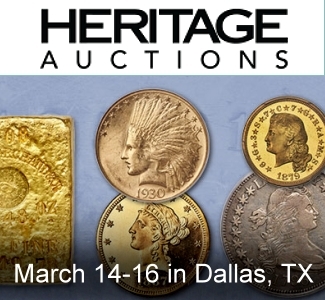 An exquisite Ike dollar set, built by Eisenhower dollar enthusiast Troy Weaver, has been listed on popular online auction site eBay for a “Buy-it-Now” price of US$170,000, with best offers considered. 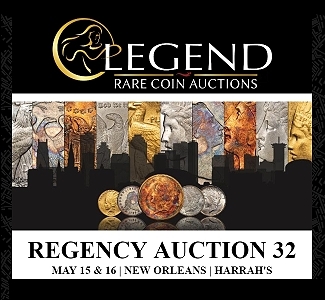 The 26-coin set is listed among Professional Coin Grading Service’s (PCGS) Set Registry and consists of uncirculated Eisenhower dollars ranging in grades from Mint State-65 up to MS-69; most grade MS-66+ or MS-67. In 2012 and 2014, Weaver’s Eisenhower dollar set earned PCGS’s coveted “Best of the Registry” award. 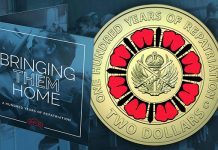 The set presently ranks first among basic circulation-strike Eisenhower dollar PCGS Registry Sets, with a weighted Grade Point Average of 66.87 or 67.71 when counting the “top population” bonus awarded to coins in the set that represent the top of their grade among known specimens. Weaver, who goes by the handle “GDaD Ikes” on PCGS, narrowly edged out his competition, Sonoran Monsoon, by 12 one-hundredths of a point in the overall PCGS Set Rating. 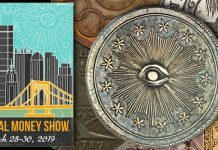 Weaver’s fascination with the Eisenhower dollar isn’t an anomaly in the coin collecting world – many have taken up the task of building Ike dollar sets, which are increasingly popular among coin collectors. 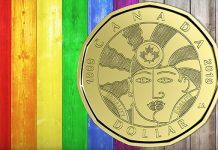 This has become an especially common pursuit among children of the 1960s and ‘70s, who grew up with the last large American silver dollars. Weaver, born in 1971, was given a birth-year type set when he was young and has had a fondness for the Eisenhower dollar ever since. Eisenhower dollars were produced from 1971 through 1978. 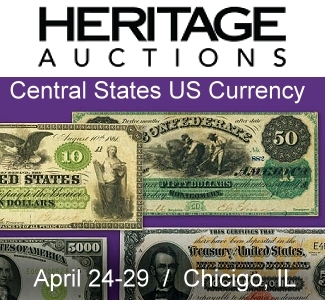 Approximately 750 million were struck over that period, with collector-only specimens in 1973 and none dated 1975 during the issuance of 1776-1976 Bicentennial coinage. Most proofs were struck well and many possess deep cameo surface. However, business-strikes–the exclusive components of Weaver’s collection–are notoriously challenging to locate in grades above MS-64. 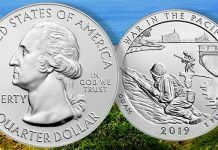 That fact is due predominately to the large size and heavy weight of Eisenhower dollars, which made them susceptible to incidental contact marks, dings and other surface imperfections throughout the minting process and distribution channels. Business-strike Eisenhower dollars are scarce in the grades of MS-64 or MS-65, and relatively few have achieved grades of MS-66 or MS-67. MS-68s and MS-69s are non-existent. 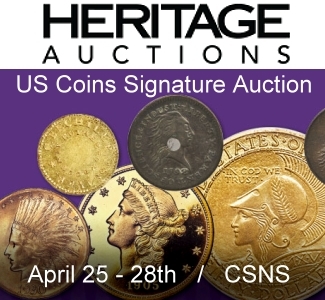 Neither PCGS nor Numismatic Guaranty Corporation (NGC) has graded any Eisenhower dollar (including special strikes) at MS-70. Due to the coin’s large size and the technology on hand during the coin’s minting, only a few Proofs have earned PR70. While all dates were struck well into the millions, the Eisenhower series includes a slew of conditional rarities, several of which are beautifully represented in Weaver’s Eisenhower set. These include the 1974 MS-67, which has a PCGS population of just one with none grading higher, and the 1978-D MS-67 (PCGS has graded two with none higher). 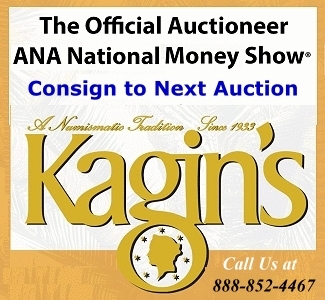 Weaver’s asking price of $170,000 may sound steep to some collectors unaccustomed to paying high-end prices for modern coins. 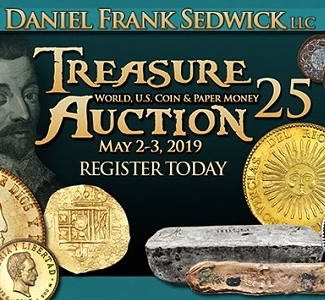 A breakdown of the high-graded coins in this collection (which boasts many gorgeous toners) may, for some, justify a six-figure asking price. 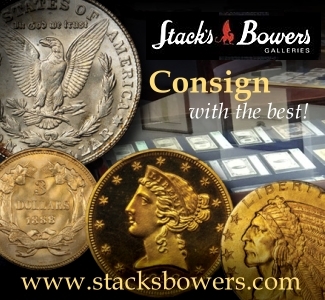 Essentially all the coins are worth four- and five-digit prices, with the difficult 1974 MS-67 coming in as the crown jewel of the set at $18,500 (all prices listed here are according to the PCGS price guide). Next up is the 1978-D, which is worth $16,000, and rounding out the top three most expensive coins in the set is the 1974-D MS-67+ at $12,500. That was the first clad Eisenhower dollar ever to earn the grade MS-67+ by PCGS. 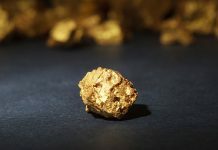 Combined, those three coins are valued at $47,000. Of interest to diehard Eisenhower fanatics are the die varieties contained within the set. 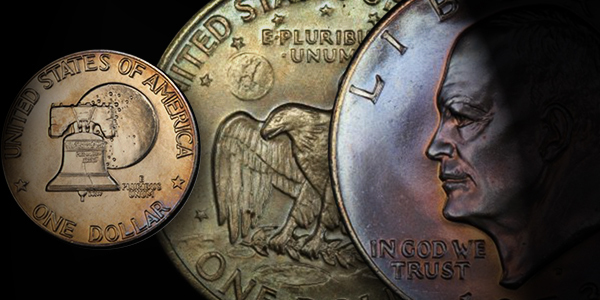 These include all three 1972 Philadelphia varieties, which are mainly distinguished by variations in the Earth’s surface as seen on the reverse of the coin in the background. Weaver’s set contains a Variety I in MS-65, while Variety II and III specimens achieve MS-66 grades. 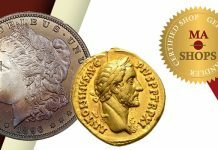 Counting “plus” grades, only nine grade higher among MS-65 Variety I PCGS coins, whereas the Variety II and Variety III examples all represent the top-ranking specimens of their grade. 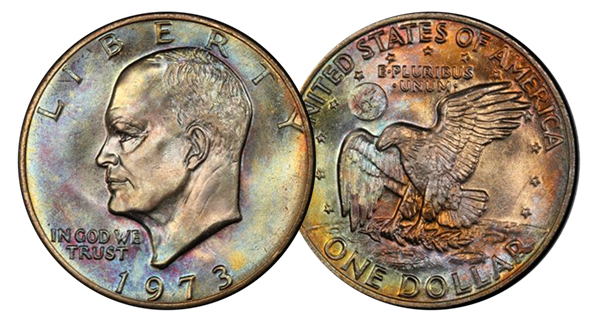 The 1971-D “Peg Leg” Eisenhower dollar is representative of a rather obscure but interesting variety that has been seen on several Denver-minted Ike dollars. The “peg leg” refers to a missing bottom serif at the base of the “R” in LIBERTY. Die polishing abraded away the base of the “R,” creating a stub that apparently resembled a wooden or “peg” leg to the early attributors of the variety. Weaver’s 1971-D “Peg Leg” dollar scored an MS-67–impressive, considering that PCGS believes no more than 30 specimens of any 1971-D Ike dollars exist in that grade. 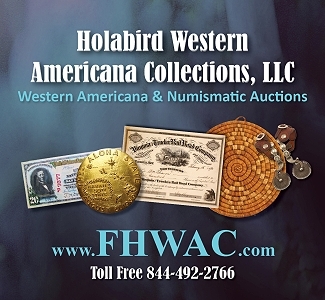 Not surprisingly, the 40-percent silver collector issues in Weaver’s set are among the highest-grading coins in this collection. The 1971-S and 1974-S dollars, which grade MS-67+ and MS-68+, respectively, are just shades below the highest grades for their issues. 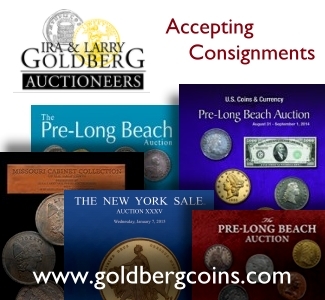 In the case of either specimen among PCGS and NGC coins, just four grade higher. While Weaver may be selling his precious Eisenhower dollar Registry Set, he isn’t cashing in his love of Ike dollars.